View looking northwest at the area of the Southern Bath. 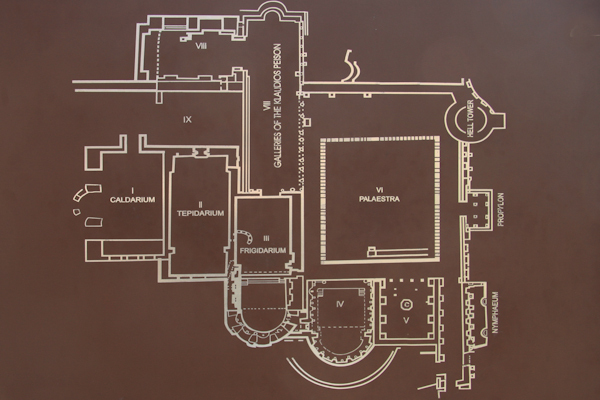 On the right side of the image, surrounded by a colonnade, is the Palestra (workout area of the bath). The massive wall on the left (west) side of the image is the actual well-preserved wall of the bath area. Note all the fine architectural elements collected in the palestra. The southern baths are probably the best preserved Roman baths in the country.